has substantially expanded and modernised its Eastern Bohemian production site in the last two years under its ongoing model campaign, with large investments going mainly into Assembly, Logistics, and the Body Shop. Approximately 4,500 employees currently produce the Yeti, Superb and Roomster models at Kvasiny, with a daily output of 800 vehicles in three shifts. "The Kvasiny plant is an important pillar in Skoda's global manufacturing network," said Michael Oeljeklaus, Skoda Member of the Board for Production and Logistics. 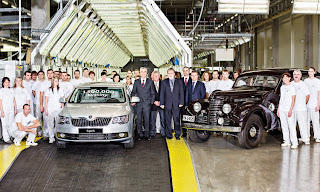 "2013 is a year of new models for us, and Skoda's Kvasiny plant is one of the pillars of the current model campaign. 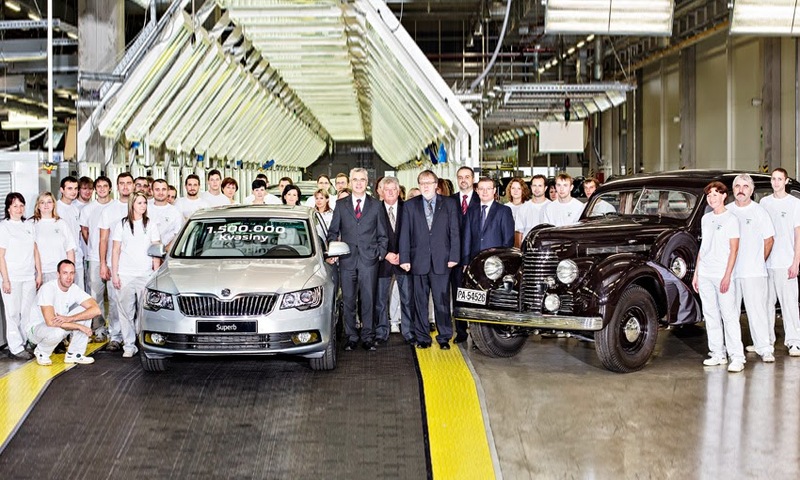 Two important new models in the Skoda portfolio are manufactured at Kvasiny - the completely revised Superb and Yeti. Successful starts of production have confirmed the high level of performance displayed by our employees," added Oeljeklaus.